If you own a rental property, you may well be aware of the “interesting” issues which light and heat can cause in any house or apartment. The heat can practically renovate the building from inside and out. The thermodynamics of buildings can be very complex, and it’s often a matter of “find a solution or face the costs”. Fortunately for landlords and tenants alike, new sunscreen blinds, window screens exterior screens and awnings are coming to the rescue. Heat can demolish buildings. Constant expansion and contraction can quite literally take a building apart. Different materials heat differently and expand and contract at different temperatures. The result is chaos, and if you’ve ever wondered why your rental property has that sad look about it, this is “normal wear and tear”, but in a different and sometimes dangerous form. The interior is also subjected to heat effects. The interior does the same thing, to a lesser extent in most cases, but that just means a separate problem. If the interior has rising damp or mold, the heat triggers growth and corrupts surfaces. Expansion and contraction of buildings can also affect wiring and plumbing. A building can literally pull itself apart with expansion and contraction, unless these things are managed. Gaps and cracks don’t just happen. If you’ve seen one of those mysterious new gaps around a window frame, (always in some nice, semi-accessible place, of course) the usual suspects are heat or water, but heat can do this without any help. Any sort of problem of this sort has another trick to play- It can become progressively more of a problem, and in a hurry. A small gap or crack can turn itself into a cost base overnight, or over the course of a hot season. 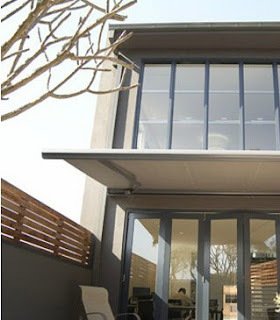 The Solution – Blinds and AwningsThe safest, and definitely the simplest approach to these problems is mercifully simple- External screens, retractable awnings and similar straightforward fixes. The exterior screens block heat before it makes contact with building surfaces. That effectively stops the problem before it happens. Even the exterior of old buildings gets a boost, because the outer faces of the building are spared the ravages of heat. This cuts down on costs for everything from painting to just holding the building together. Window frames aren’t heated to egg-frying temperatures, either. Tenants appreciate the improvements, and the old buildings get a new lease of life, literally in one sense, because the heat effects inside are minimized. Carpets don’t get bleached, and the interior of the building isn’t subjected to heat-based expansion and contraction. 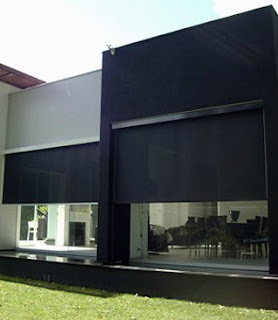 Best of all, you can get customized, tailored blinds, screens and awnings to deal with the problems on a case by case basis if necessary. You can arrange for a consultation to protect your valuable property and talk through the options, finding a good working solution to any situation. Check out the options, and you will find solutions.